Since 1976, Jacob has represented husbands and wives, fathers and mothers, children, grandparents and other relatives in all aspects of family law. A Kenyon College and George Washington University Law School graduate, Jacob is a Fellow of the American Academy of Matrimonial Lawyers and an Ohio State Bar Association Certified Specialist in family relations law. He is a Certified Arbitrator. Jacob was a founding trustee and officer of the Center for Principled Family Advocacy and has taken both basic and advanced collaborative training. Jacob has also attended the Harvard Law School’s Harvard Negotiation Project’s Basic and Advanced Negotiation Training Seminars. Jacob has served as advocate for children for more than 20 years as their counsel and Guardian ad Litem and was the only private attorney on the Ohio Supreme Court’s Task Force on Guardians ad Litem. Jacob has often taught at continuing legal education seminars to judges, magistrates and lawyers, primarily on issues of family law and professional ethics. Jacob has been active in the governance of state and local bar groups. He has for many years served as a Volunteer Magistrate for the City of Cleveland Juvenile Diversion Program. 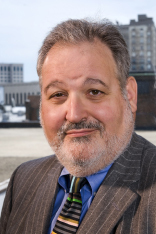 He has been an Ohio Super Lawyer since the program’s inception.